Amaryllis Musings: WIP Wednesday - Rockets Red Glare! WIP Wednesday - Rockets Red Glare! Happy Fourth of July! I love the Fourth, it reminds me of the picnics at my Great Grandmother's House. My Aunt would chase me around with Super Soakers and there would a ton of food. Granted we don't know how to have any sort of gather without a ton of food. Has anyone ever noticed that the American holidays (July 4th and Thanksgiving) are all about the food? Anyway this year is very subdued, since the holiday is in the middle of the week. I am not going home for a picnic this year, instead I was supposed to go to the Pirates game and then stick around the city for the fireworks. Alas, my plans have been thwarted by a migraine. So we will see what the rest of the day brings. As a bit of an update, I had a lovely birthday and it wasn't as bad as I worried about. Now onto the yarny goodness that is WIP Wednesday! These have gone to the back burner for the time being. I was working on them for Nerd Wars and the first month ended and I only got one sock done. I am still working on it and hope to finish the pair for the WIP challenge in August. Well these have been a lovely diversion WIP and I had to try out all of the colors this week. I just wanted to see how everything played together. I do love these colors. Don't they all look great! I am so happy the colors worked out! 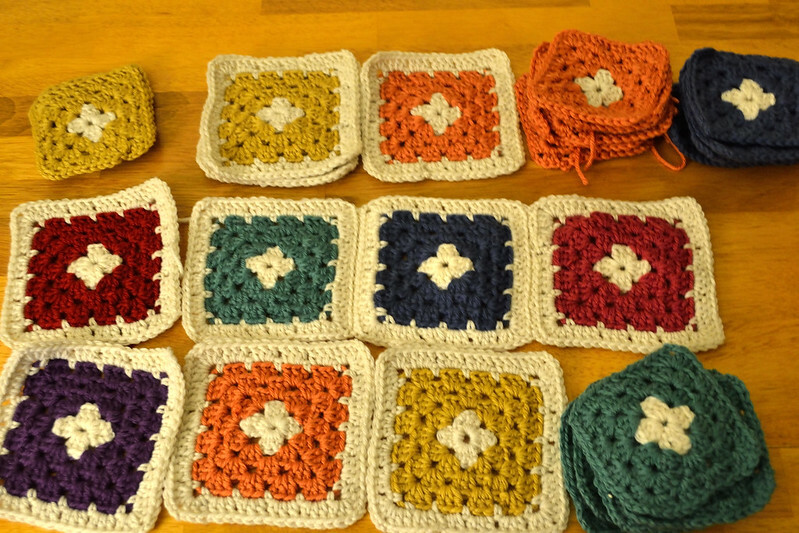 I also was able to measure the finished square with the white borders to get estimates for the finished blanket. Now that I know the blocks are about 5" x 5" I realized that I needed more yarn so I bought more yarn. 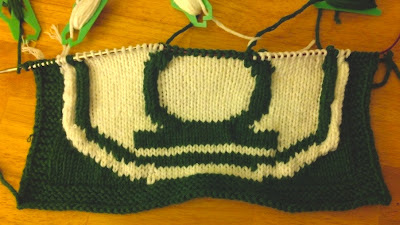 I started the next square in my Big Bang Theory/Justice League Series. I cast on in late June but ripped it out because something didn't work right. I then recast on in July and now it qualifies for Nerd Wars. I am so happy with how it is turning out. Check out how it's turning out! I should get this done this afternoon. 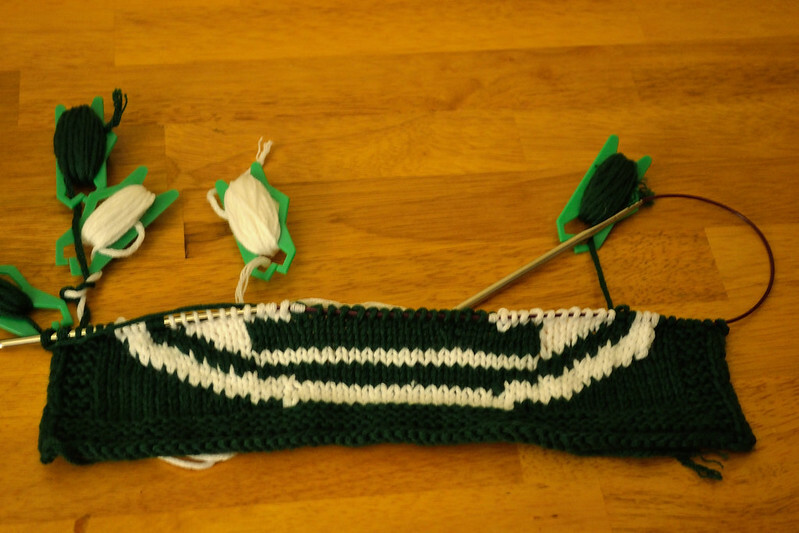 I am so pleased by how the pattern is working up. I will share when everything is done. The Flash is next! This is another one I started but ripped out and can use for Nerd Wars. This is to go with the Gryffindor Scarf that I am working on. As soon as the Green Lantern square is done this is next on the list. Busy knitter! Happy granny squares. Oh thanks! I have been busy. Do you have a problem with loads of food on a holiday? I sure don't! Again, more awesome projects and I love them all! Both of those blankets are definitely going to be wonderful and one of a kind. Also, you have socks going? May I have some of your knitting time please? Thanks for the compliments, I do indeed have socks going. I have been stalled lately cause I'm dating a guy.